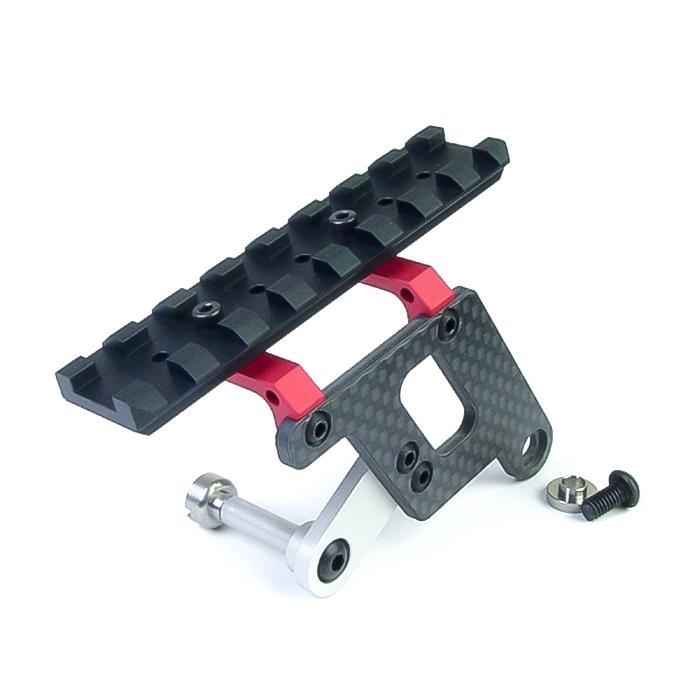 This item is super light, side lifting type mount base. 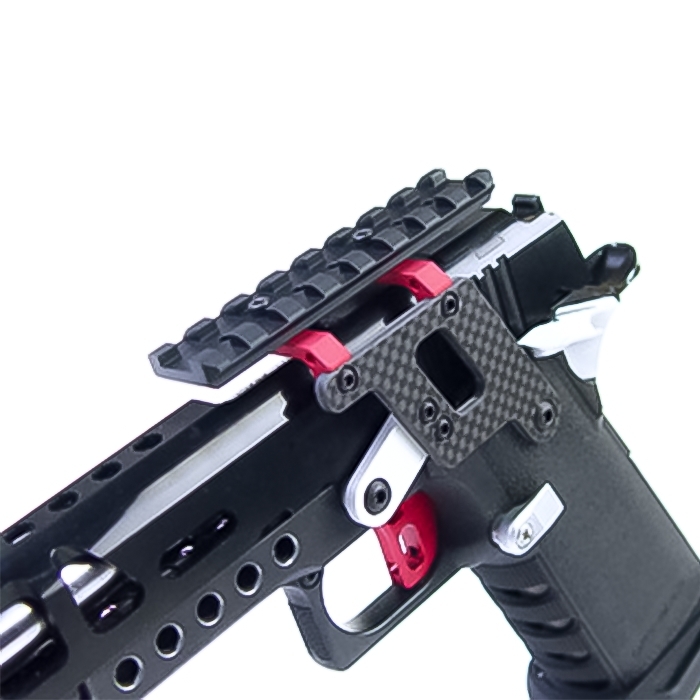 For mounting this item, please use: the slide stop lever insertion port, and grip screw hole. You can mount it as is. The biggest feature is its side lifting design. 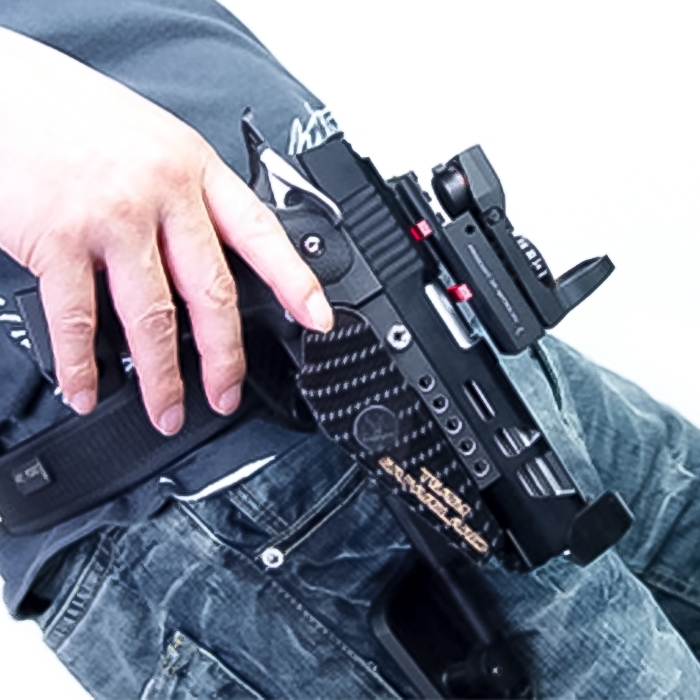 So, the gun will fit Safariland type holster (used by many people in shooting match) with easy adjustment. Also, this item is over 40% lighter than the previous mount base by LayLax. 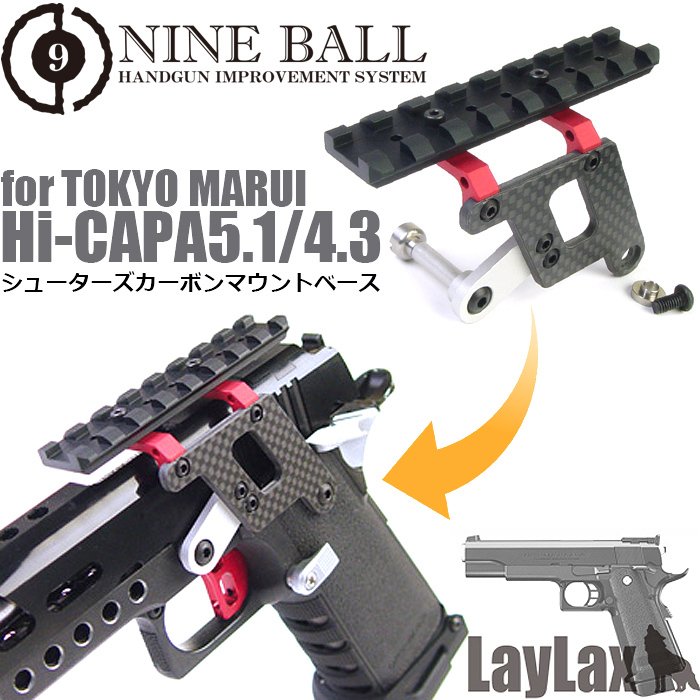 It is suitable not only for shooting match, but also for games. Rail position can be adjusted back and forth in 4 steps and specific setting is also available.